Here’s a link to the club’s membership form if you want to print and complete prior to registering. A Patrol Captains Course will be held on Sunday 19th February 2017 location TBC upon applications. The Senior Lifeguard Award – Patrol Captain provides information on what you need to know and be able to do as a patrol captain. The qualification also covers theory on leadership topics which are then put into practice during scenarios. This prepares Surf Lifeguards for the leadership role that is essential to being a successful patrol captain. The Senior Lifeguard Award – Patrol Captain is a pre requisite for the National Lifeguard School, the final step for members to obtain the Advanced Lifeguard Award. Pre requisites: Current member of a SLS club 16 years of age 2 years patrolling experience Current Level 1 First Aid Marine VHF Radio Operators Certificate Applications for this course are now open. To apply please click here Applications will close on Thursday 16th February at 12pm. Just a note to advise one and all of the pending AGM & Prize Giving on Saturday 5th August at the clubhouse starting at 6:30pm. 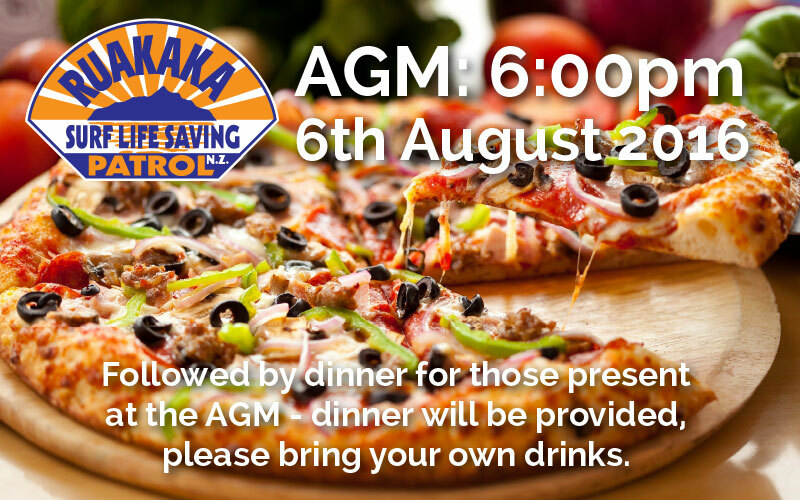 This is to be followed by a pizza dinner which will be provided for those that attend the AGM. RSLSP one of four community benefactors from the Snake Bank Challenge. Kevin Walker, commodore Marsden Yacht and Boat Club (in white shirt). Are you ready? Not long now! Dear Clubs and Club Instructors, An Instructors Training Course will be held on Sunday 3rd December 2016 @ Marine Rescue Centre, 0900-1600. 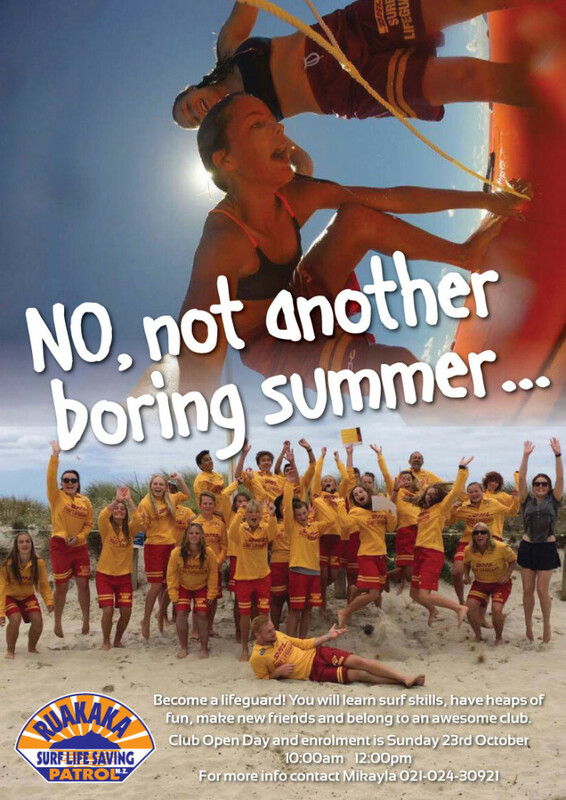 The Instructors Training course is one of the requirements for candidates wishing to gain their Surf Lifeguard and/or IRB instructors’ award and will be an interactive day course involving both theory and practical elements. To assist in the faster, smother running of the course and allow greater time for practical elements, candidates will be sent the Instructors Workbook to review and complete prior to the course day. Applications for this course are now open. To apply please click here Applications will close on Tuesday 29th November at 9am. After this date registered applicants will be contacted in regards to any further information. 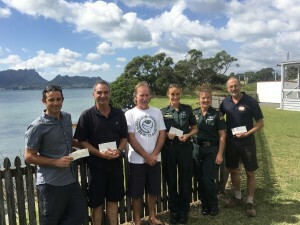 Further information on the instructor’s awards can be found on SLSNZ website. 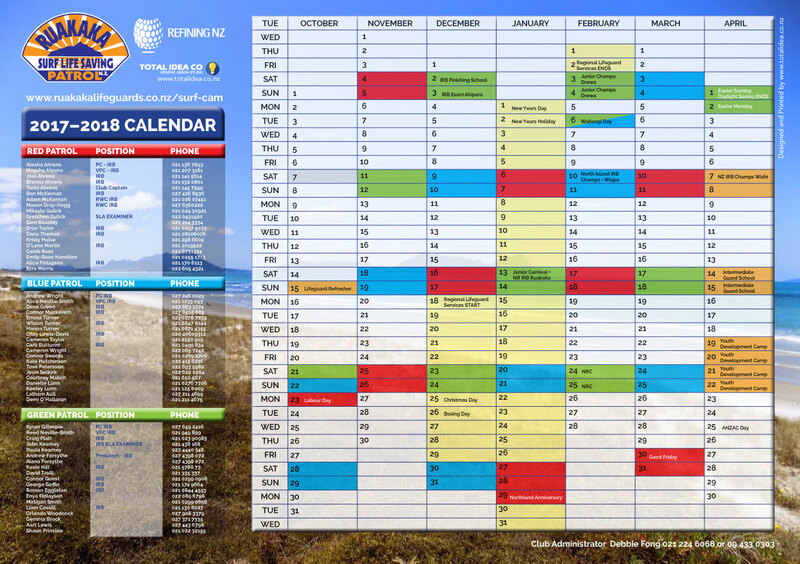 Instructors Award – Surf Lifeguard Instructors Award – IRB If you have any questions please do not hesitate to contact me. 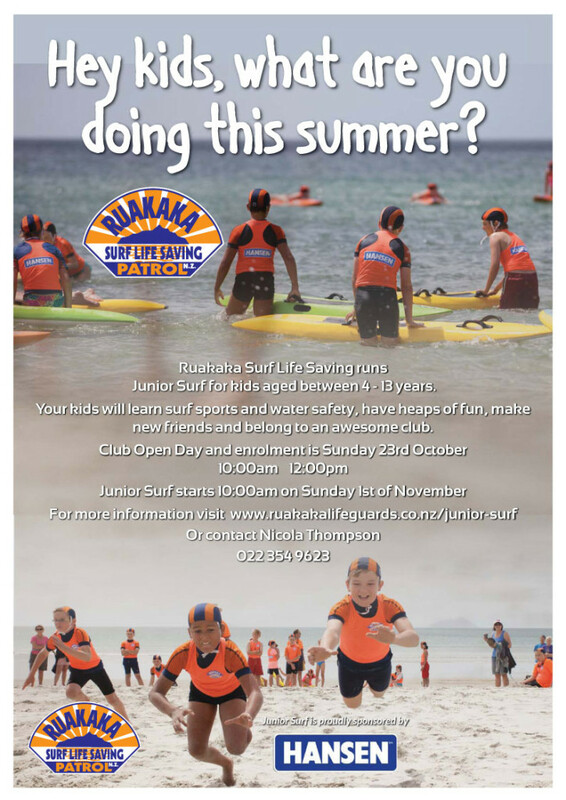 Please advise by return email to ruakakasurfpatrol@gmail.com if you are able to attend so we can ensure we have sufficient catering. We will put on dinner and dessert, you just need to bring your own drinks. See you there. If we do not reach quorum as below we will aim to hold the second meeting at 6:45pm on Saturday 6th of August. 14.6 Quorum: No business shall be transacted at any General Meeting unless a quorum is present at the time when the meeting is due to commence as set out in the notice of meeting. The quorum for a General Meeting shall be twenty percent (20%) of the Members. The quorum must be present at all times during the meeting.